An unfortunate part of life is death. We all wish we could live forever, but we can not. For most people it is important their family and loved ones are protected if they pass away. Not having proper estate planning can lead to your assets not being distributed according to your wishes and to excessive estate tax liability. At the Columbus, Ohio law firm of Kincaid, Randall & Craine we have been assisting clients with their estate plans involving simple wills to complex estate planning needs for over 75 years. Life insurance trust – the trust will own the policy which allows the parent to make gifts to the trust. The trustee makes premium payments and the trust is not included in the estate. A/B (credit shelter) trust – this trust reduces estate tax liability in the event of the death of a husband or wife by putting up to two million into a trust so it is not included in the other spouses’ estate. Discretionary trusts – this allows for planning by parents who have children with disabilities. If this is done before death, a Medicaid payback trust will not be needed. Medicaid payback trust – in the event a discretionary trust was not established, setting up this type of trust will usually be needed for a family which has a disabled child receiving Medicaid benefits. If a child were to receive a lump sum upon the death of a parent, they would probably not meet the eligibility requirements for Medicaid. The trust prevents this from happening. Trusts for minors and young adults – in the event of death if you have young children, typically you don’t want them to inherit a large sum. You can set up a trust so that principle distributions are made until the child becomes more responsible, or after they have attained certain goals. Typically, our estate plans include durable power of attorney, living wills and health care powers of attorney. The estate planning attorneys at our firm assist clients who wish to control from the grave by establishing wills, powers of attorneys and legal documents which control distribution of assets based on pre-set conditions determined by the parent. 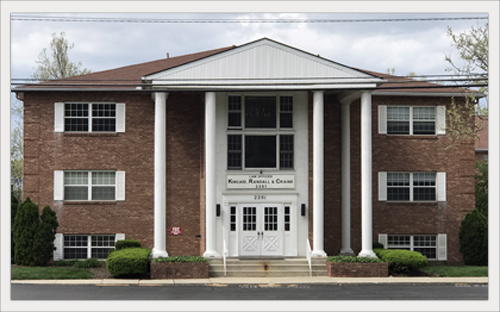 For over 75 years, the law firm of Kincaid, Randall & Craine has been representing sophisticated individuals and businesses in the Central Ohio area with their complex estate planning legal matters. Contact our office by phone at (614) 224-7193 to arrange for your free initial consultation.